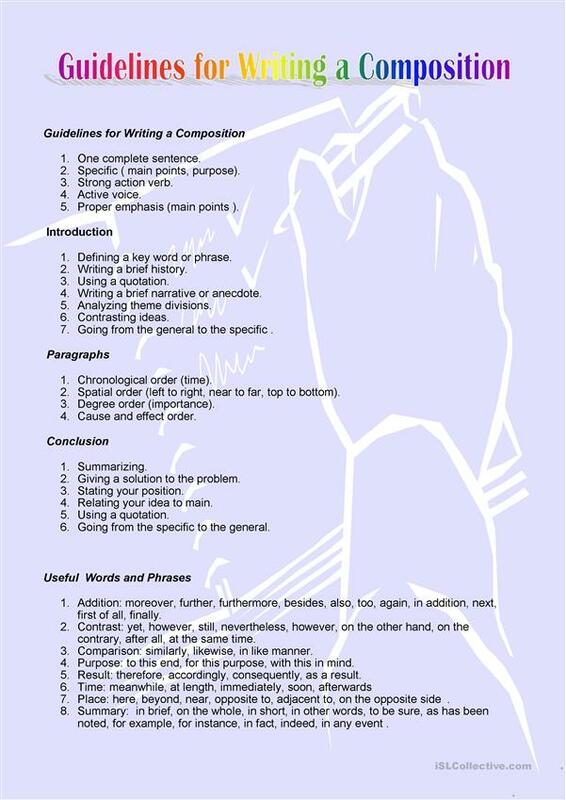 Guidelines for students on how to write a composition. The above downloadable handout is best suited for high school students and elementary school students at Pre-intermediate (A2) level. It is a valuable material for improving your learners' Writing skills. I 've been a teacher for more than 20 years.